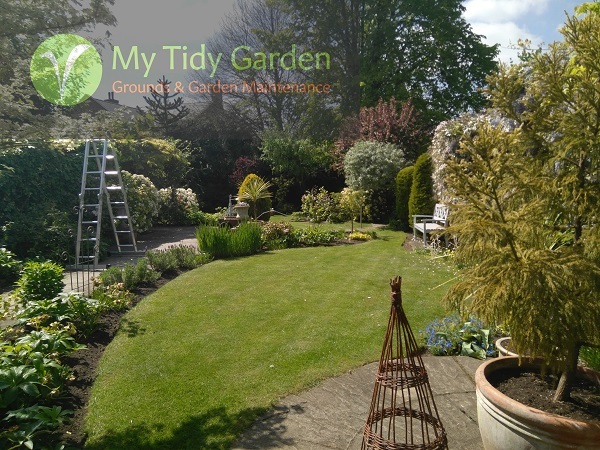 At My Tidy Lawn, we take great pride in producing healthy lawns that our customers can be proud of. Spring fertiliser applied to encourage strong growth of the plant after winter. Weed control carried out to aid grass growth by reducing competition. Summer scorch-free fertiliser applied to keep growth strong and help reduce the effects of dry conditions. Weed control carried out to aid grass growth by reducing competition. Late summer fertiliser applied to enable the grass to take ful advantage of late summer rain and help it recover from the summer. Difficult to control weeds are targeted with specialised weedkillers. Winter fertiliser applied to help strengthen the grass plant for the winter months, aiming for less growth but with a healthy stucture. Moss control is targeted at this time when the moss is most susceptible.